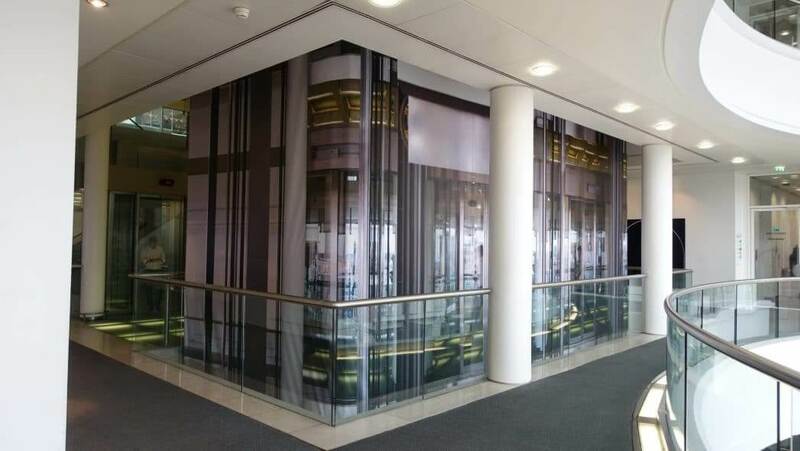 This lift shaft printed protection screen we produced for BNP Paribas is a good example of our work and demonstrates why clients use Project Print Management. 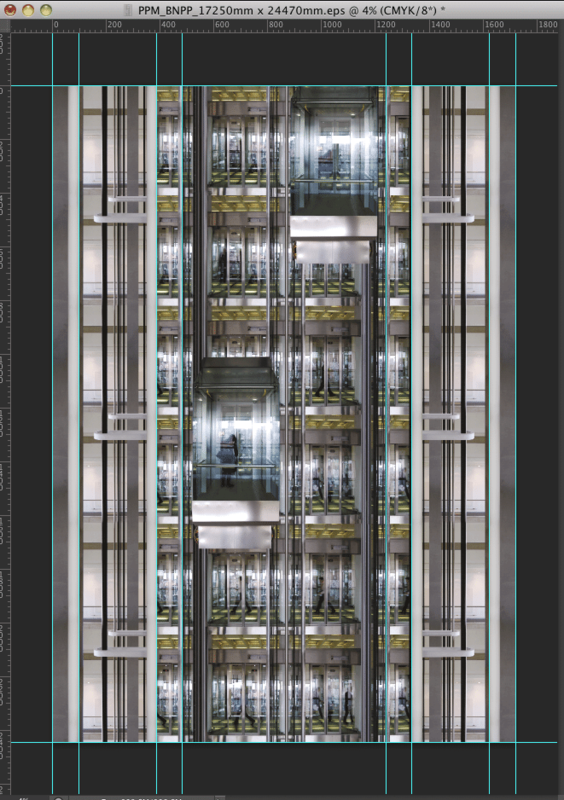 The lifts at BNP Paribas Marylebone, London are being refurbished and going to take 10 months. 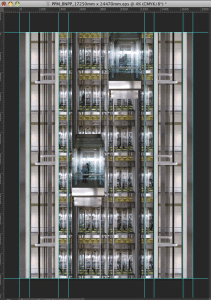 There are five glass lifts in two shafts. Two lifts located at the front of the atrium and three in the middle. 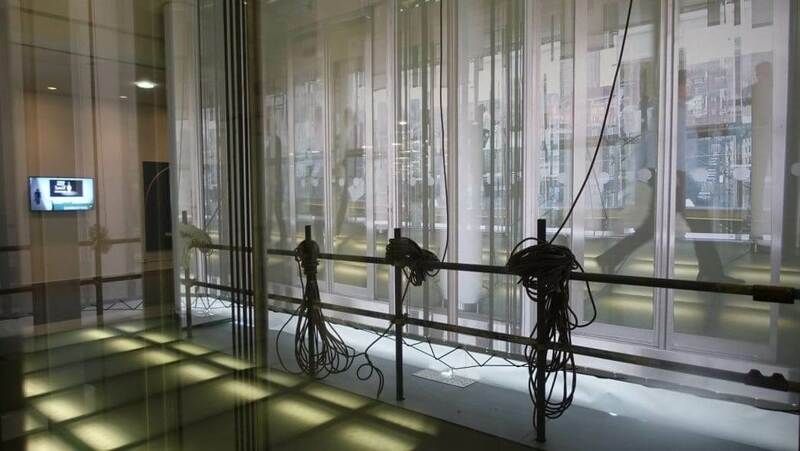 As the lifts and shafts were made from glass any work being carried out will be clearly seen. One lift would be worked on at a time keeping the others operational. 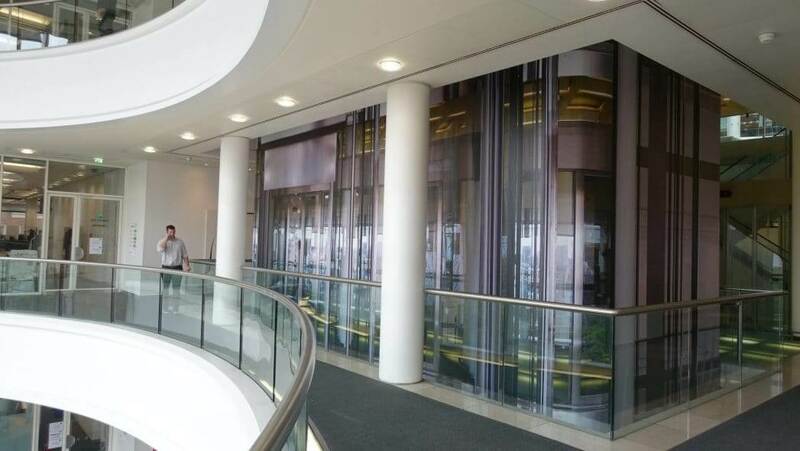 The client wanted a printed protection screen within the glass lift shaft to keep the public safe whilst the work was being carried out. But also keeping up appearances as the client did not want to see engineers working. This is a typical job we excel at and is our USP (unique selling point) and is how we save clients’ money. Some companies suggested it was not possible or a scaffold structure up the lift shafts was needed. Project Print Management was £60,000 cheaper than the other companies tendering. We could also carry out the work over two weekends compared with six weekends from our competitors. Like anything in life it’s easy when you know how, or at least the people who know how! 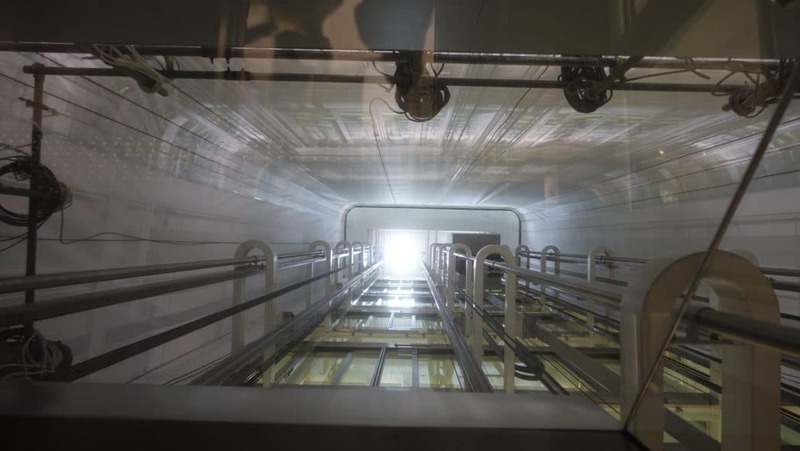 There is a service cradle which runs on a track at the top and around the lifts but inside the glass shafts. The idea was to fix cables to the cradle track dropped down the shaft to a make guild for the printed protection screen to be wrapped around. The printed protection screen would be digitally printed on a solid PVC banner. This would provide protection to the public if small tools or objects were accidentally dropped by the engineers. Its all very well coming up with a plausible solution but we must also demonstrate that our installation solution will work. This is when we call in specialist engineers to carry out the design calculations. 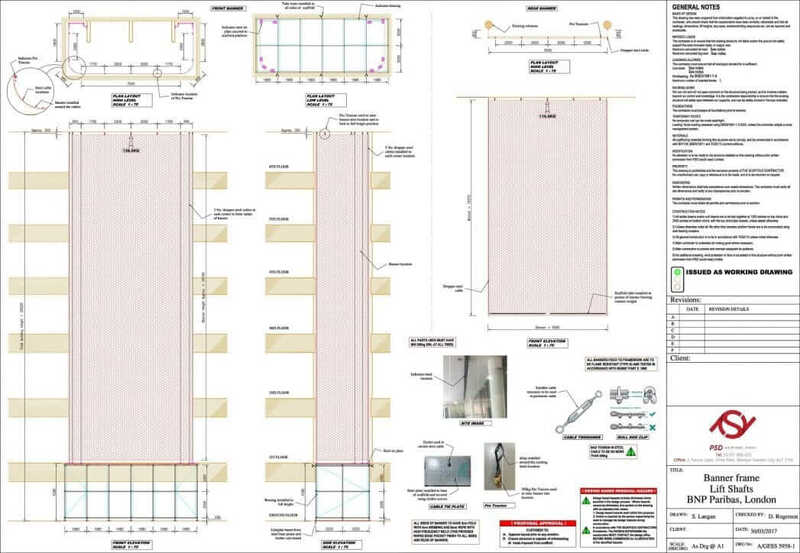 We prove all our installation method will work and is fit for purpose. 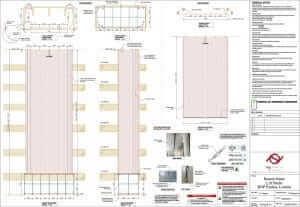 To the client getting the artwork design correct is the most important element of the printed protection screen. This is when our 25 years of expertise in trompe I’oeil design pays off. If the design does not look right or elements in the image are not scaled correctly, the visual effect is lost and very expensive to put right. Once the riggers have installed the wire guilds they carefully survey the points so we can create a vector template. This is for the BNP design team to drop the artwork onto. Assisting the BNP Paribas in house creative team they came up with this fantastic piece of artwork. The Printed protection screen is made from a fire retardant solid PVC material and digitally printed on EFI Vutek GS500r. 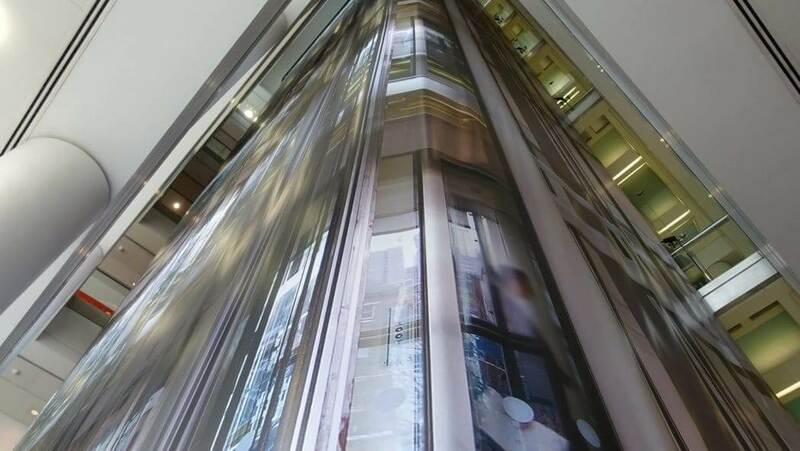 This 5 meter wide, high resolution superwide printer is at the very cutting edge of digital print technology. The finishing (the hems and eyelets) were done on Forsstrom TDW 200-1000 high frequency welder. The installation was never going to be easy! The specialist rope access engineers hung at the top of the 31 meter lift shaft and winched the PVC banner into position. 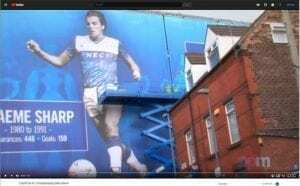 The total size of the Printed Protection screen was 25 meter high x 18 meters wide.